Managing a large application development effort is a complex challenge. Knowing how much quality assurance and quality control to apply to a program are critical to maximizing the likelihood of success. Apply too little quality, and undiscovered defects cause schedule and cost overruns, and poor user acceptance. Apply too much quality, and the program costs more than it needs to meet schedule objectives. Many managers make decisions which ignore certain quantifiable principles. 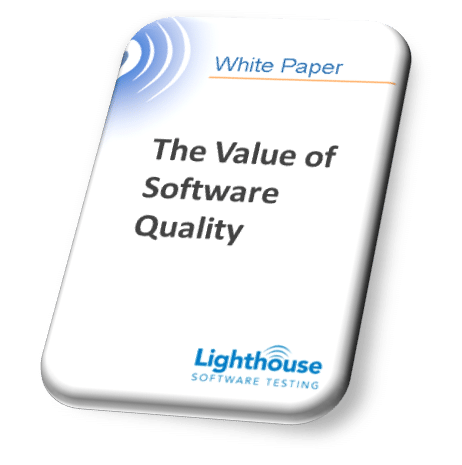 Fill out the form to get your FREE copy of our White Paper: The Value of Software Quality.